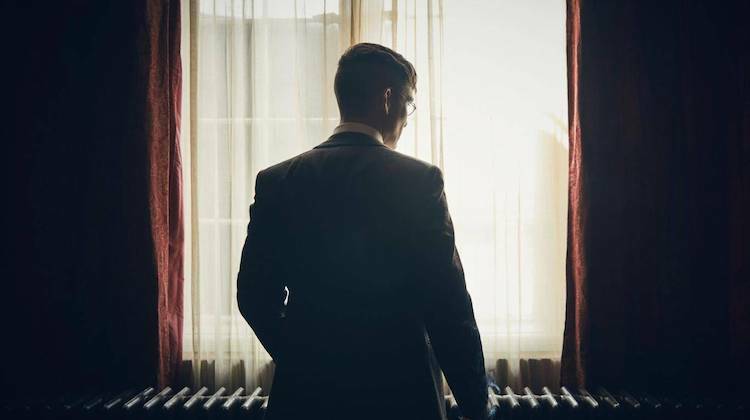 ‘We’re going back … back to Small Heath,’ says a blood-spattered Tommy Shelby (Cillian Murphy), in the opening episode of Peaky Blinders, Season 4. ‘Back where you belong,’ replies Johnny Dogs (Packy Lee) – he knows, as do we, that Tommy can’t escape his roots. Season 3 of Peaky Blinders was about Tommy’s attempt to do just that. The whole Russian storyline, with its old world symbolism, gave Tommy access to privilege, power and wealth, but with catastrophic results. The extraordinary finale closed on a cliffhanger, with key members of the Shelby family arrested on murder charges. The new season picks up where we left off, in typically dramatic fashion, with Arthur, Polly and co. facing the gallows. Their predicament is dealt with swiftly and neatly, but not before some heart-stopping moments that will have devastating consequences. The crunch comes in the form of Luca Changretta, scion of Vicente Changretta, the Italian boss murdered by the Shelby boys in Season 3. Luca is a dangerous man – a soldier for the Sicilian mafia, with links to Tommy’s old enemy, Darby Sabini – and he’s out for revenge. 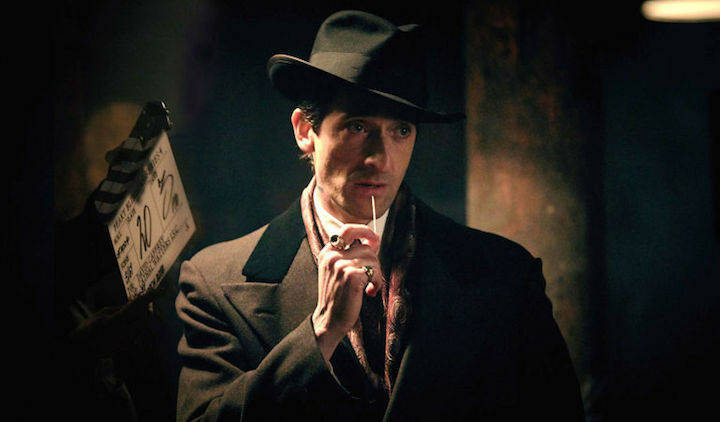 Played by Adrian Brody with quiet menace, I suspect he’ll provide an intriguing counterpart to Tommy’s intense, brooding presence and give us a convincingly chilling bad guy after the histrionics of Sabini and the crazy Russians. This threat brings the family back together, forcing them to retreat to Small Heath in a desperate bid for survival. 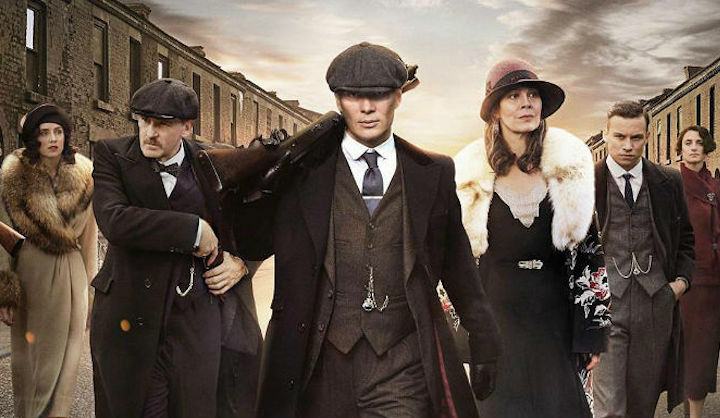 It must have been tempting to take the action to America, but writer Steven Knight goes against the ‘bigger is better’ tendency of TV screenwriters to return to the world we know and love – a move that proves his determination to keep the show focused on his own home town. Tension simmers from the off, quiet moments of reflection – even humour – contrasting with suspense and brutal violence. As always, Cillian Murphy shines. It’s not fair to say he carries the show, because there are so many brilliant performances (Paul Anderson and Helen McCrory particularly), but Tommy is the anchor and as the show grows in emotional complexity, so does he. His conflict is clear, subtly delivered by a nuanced line or a loaded look. There’s a hint of guilt and self-loathing: ‘My God, Tommy Shelby, is that regret?’ asks Ada (Sophie Rundle), half joke, half observation. He’s struggled to become respectable, accepted, to keep the promise he made to Grace, but he can’t escape his past and now it’s coming for him. A fight scene, surrounded by carcasses, meat hooks and buckets of blood, would be clichéd in less expert hands, but here it’s raw and compelling. We get all the elements we’ve come to expect. The sets look fantastic, with the same smoky, dark atmosphere and glamorous sheen. The clever use of anachronistic music, so integral to the show’s success and such a game-changer in Season 1, perhaps feels less striking a few years on, but the soundtrack should keep fans happy. We’re promised returns from some favourite characters too: Alfie Solomons (Tom Hardy) will be back, as will May Carleton (Charlotte Riley), plus the addition of Aberama Gold, played by Aiden Gillan. Fresh from Game of Thrones, perhaps Gillan has brought George R.R. Martin’s infamous body count with him – Knight has dropped hints of a shock ending this season. He’s said he doesn’t believe in killing off major characters for the ratings, but we can expect losses. And what of the history? When I interviewed Knight in 2016, he spoke of history as the ‘pegs in the wall’ upon which to hang the story. It’s 1926 and the General Strike is brewing. Cue Jessie Eden (Charlie Murphy), a real communist and trade union activist who campaigned for women’s rights in Birmingham in the 1920s. This storyline was seeded in Season 3, when the Shelby women downed tools to attend one of Eden’s rallies. Now she’s out for Tommy’s blood – or at least equal pay for his female employees at the Shelby owned Lucas factory. Her entrance, accompanied by the show’s signature track Red Right Hand (covered by LA band FIDLAR), suggests she’s more than a match for Tommy. Their first encounter is promising, with Jessie holding her own (I particularly enjoyed the exasperated eye roll when Tommy calls her ‘sweetheart’), and the merest hint of a spark between them; Tommy has always enjoyed a challenge when it comes to women. Knight’s female characters are a triumph and the real Jessie Eden was no less impressive. She did indeed bring out female workers at the Lucas factory as part of the General Strike in 1926, and led 10,000 women on a week-long strike in 1931. So the pegs are there, but exact dates and events have been altered. This might bother the purists but I like Knight’s approach – he’s clearly passionate about bringing such themes to a big audience and this subject, unfortunately, feels as relevant now as then. 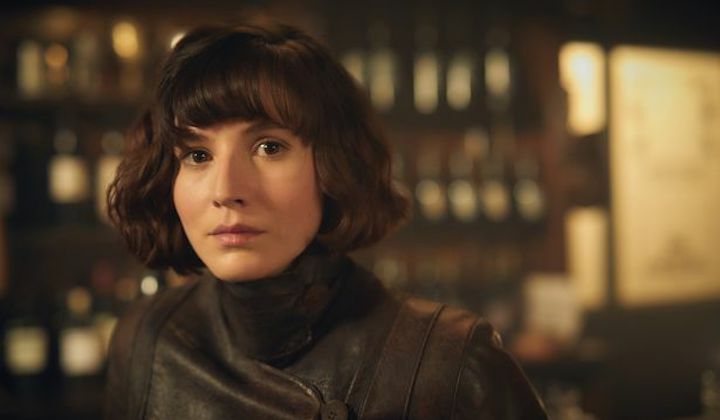 There’ll be at least one more season after this, set in 1928-9, though Knight has previously talked about taking the Shelby story up to the beginning of the Second World War. There are rumours of a movie and even (God forbid) a musical. But for now, it’s back to The Garrison for one last showdown and, hopefully, a reprise of the Western elements that worked so well in the early seasons. I welcome it. It’s a riveting opener that should satisfy fans, promising a return to roots and the same quality, edge-of-seat drama that has made the show an international phenomenon. I’ll be clearing my diary on Wednesday nights for the next six weeks. Peaky Blinders Season 4 starts on at 9pm on Wednesday 15th November on BBC2. Read Katherine’s interview with Steven Knight.